Being rewarded in accordance with how well you perform your work hardly seems a debatable matter. That's why 9 of 10 A/E firms provide some kind of bonus or incentive compensation. Furthermore, the trend is moving toward more variable, performance-based pay. But in this case, the research doesn't seem to support the common sense assumptions. Overwhelmingly, studies have found a poor connection between rewards and better performance. One major study, in fact, found that the larger the reward, the poorer the performance. This same study discovered that incentives do work for menial tasks, but not for those requiring cognitive skill. On the other hand, behavioral studies establish a strong connection between behavior and consequences. Positive consequences can be particularly powerful in motivating long-term behavior change. This has been well demonstrated in the success of behavior-based safety, for example. The desired outcomes are not within the individual employee's control. Bonuses are typically awarded on the basis of company or group performance. A high-achieving employee can be denied a bonus due to group performance, while a low achiever in a better group is rewarded. 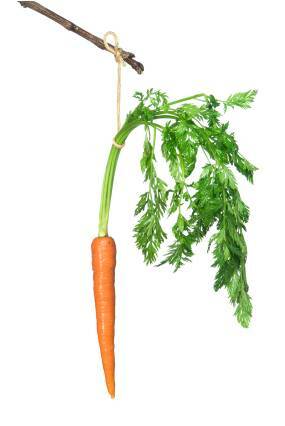 This perceived unfairness can turn your incentive program into a disincentive. The reward is not dependent on specific accomplishments. When bonuses or other rewards are distributed without a clear connection to achieving certain goals or levels of performance, they can be perceived as more of a gift than a reward. After a while, employees tend to take such disbursements for granted--until it is reduced or taken away! The reward is too delayed and infrequent to impact performance. Do annual bonuses really motivate people in mid-year? No. People respond best to positive consequences that immediately follow the targeted behavior or achievement. Indeed, the immediacy and frequency of rewards typically matter more than the magnitude. That's why people find it so hard to lose weight, a highly valued goal that too often succumbs to the lure of instant gratification. The reward lacks certainty. All of the above contribute to the perceived unreliability of the promised reward. If your bonus is conditional on company performance, achieving goals beyond your control, unclear criteria, or other factors that may come into play months from now, it's not likely to serve as much of an incentive, is it? Yet this is case more often than not. So what does motivate people to do their best? The good news in tough economic times is that it needn't cost you more money. Bringing out the best in people involves providing positive reinforcement for those behaviors that yield the desired results. I've written a good deal on this topic, including this previous post. Corporate culture also contributes much to how employees perform.